Cooler days and crisp nights are right around the corner for us in the Coachella Valley! As fall approaches and the hot summer days become far and few inbetween it’s time to start thinking about ways to enhance your outdoor space. Fire pits not only enhance the style of your backyard space, they also provide endless opportunities to enjoy the outdoors with friends and family. Whether you’re looking for an intimate quiet night with your partner in crime or a warm and toasty night roasting marshmallows while sharing stories with the littles, a fire pit will create real value to your everyday life. Here are the top 5 reasons why installing a fire pit in your backyard will transform your outdoor sanctuary from drab to fab. It inspires rest, relaxation and conversation. An outdoor fire pit increases the value of your home. Fire historically has been the “primal” cue to gather around and be together; or a focal point for solo meditation. It helps provide us with a great escape, without leaving home. The ultimate getaway in your very own backyard. A well built fire pit allows you to control the experience. You will be able to choose from low flames or high flames, thick flames or thin flames. 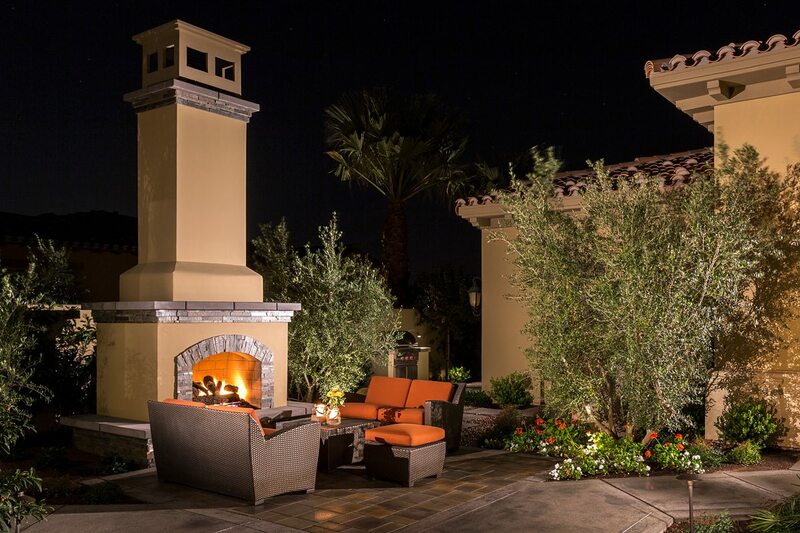 Whatever relaxing ambiance you wish to create, you can do so with a custom fire pit that Teserra Outdoors can build for you.